The 527nm green light is for comforting the skin. The 600nm purple light is for toxin elimination. The 610nm light is for Balancing and recomposing. Studies show that light enters the body as photons (energy) and is absorbed by the photoreceptors within cells. These beauty care units are used to treat soft tissue injuries and skin conditions such as psoriasis, herpes, leg ulcers, burns, and acne. The spectrum of light is especially effective for treating wounds, cuts, acupressure points or other areas close to the surface of the skin.This device can produce 7 COLORS and improve a lot of skin problems. This item uses natural light waves, which are transmitted by LED into the skin. The light activates photoreceptors in skin cells, producing energy for absorption by skin components, to beautify your complexion. This item comes with 7 colors can improve different skin problem. 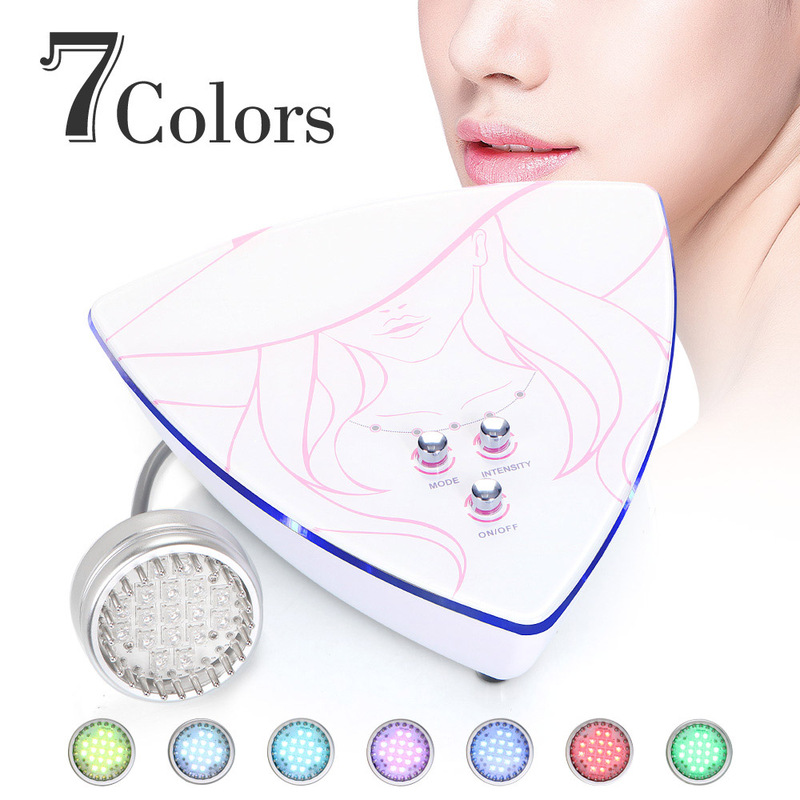 Led light can balances skin tone and enhances circulation, inhibiting he formation of melanin pigment, fighting acne and dermatitis, and smoothing pockmarks, scars and wrinkles. Microcurrent is a popular treatment for skin aging, which uses low currents to trigger natural skin-enhancing chemicals at the cellular level, making skin therapists an effective tool against signs of skin aging.